Being the bearer of bad news may present one heck of a clusterfu%$ for anyone where Hulk fans are concerned. Let's face it no one wants to make them angry, because we wouldn't like them when they're... well you know . But, outRAGE is a small price to pay for the greater good. For it is with a heavy-heart that I deliver this bit of bad news. 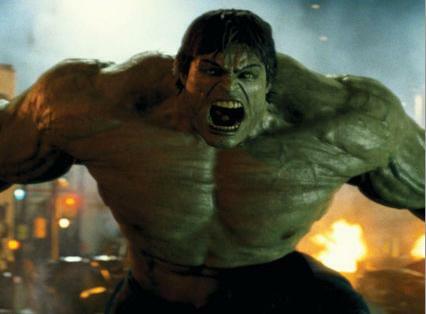 Joss Whedon and Mark Ruffalo both confirm that there won't be a stand-alone Hulk movie . At least not until after The Avengers 2 film has been released. Adding insult to injury, Whedon dismissed rumors of a Hulk Planet themed film. For those unfamiliar with this storyline it's where the Hulk is tricked by the mightiest heroes to board a rocket and blasted off to a desolate planet to smash whatever he wants without harming anyone. However, this planet is not so desolate and Hulk is captured and forced to fight as a gladiator. After liberating the planet he returns to Earth with help from his new found friends to exact his revenge on those who banished him. That was also the rumored storyline for The Avengers 2 film. Whedon dismissed this rumor as ridiculous. WELL! Can you believe the cahoonas on this guy ! Talk about courting the wrath of fanboys everywhere. Whedon went on to say that there is already a story in place for the next Avengers installment. To his credit, he explained that coming up with a stand alone storyline for the Hulk is difficult, because he's (Hulk) is not like other heroes in that his rage makes him unpredictable. This makes it hard to brand him a hero. Personally, I think Whedon can do it if he really put his mind to it. This guy is a very talented writer and director known to pull more than a few rabbits out of his hat. But I guess we'll have to wait until after Avengers 2 to see. Mark Ruffalo has gone on the record as saying he wants to do a stand alone film (no surprise there; why should Morton Downey Jr. have all the fun? ), but it doesn't look like it's gonna happen anytime soon. Ok, so there it is fanboys & girls. The bad news. The terrible awful. The thing that will bring the beast! Can I run before you go all green on me?